Softwood constructional timber is one of the greenest building materials known to man! Trees store and lock in carbon. Providing it has been obtained through responsible sourcing practices, the timber will come from well managed forests in which all felled trees are replaced with saplings. Responsible sourcing can make an important contribution towards sustainable forest management and help to increase the market for timber products which have been independently certified as coming from legal and sustainable sources. As importers and buyers of timber and timber products, we apply every best endeavor to establish and ensure that supplies sold and sourced through our services have originated from responsible, good sawmills and exporters who themselves have adopted a forestry and production program that is in harmony with both our aims for ecologically friendly and sustainable timber trade practices, and who operate under internationally recognised certification bodies. To achieve this aim we are members of the Timber Trade Federation, and operate chain of custody (CoC) schemes with both FSC® (Forest Stewardship Council®) and PEFC (Programme for the Endorsement of Forest Certification). Membership of the aforementioned schemes is subject to an independent annual audit conducted by Woodmark – the Soil Association’s certification scheme for Forest Management and Chain of Custody for forest products. Our current environmental certificates can be found here. Our main supply areas are the well-managed Scandinavian and Northern European coniferous forests that are primarily used for house building, commercial construction, general joinery, furniture and outdoor uses. The company has appointed a Director to be responsible for the implementation of this Policy and will ensure that relevant environmental issues are discussed regularly at the highest level of management. The company will ensure that all employees associated with timber purchasing are aware of the Policy and its commitments, and are given appropriate education and training to allow its full implementation. The company recognises that it has a responsibility to the environment, customers, suppliers and staff to base its commercial activities on well-managed forests. The company is committed to the Timber Trade Federation Code of Conduct and applies the Environmental Code of Practice to all wood procurement activities. The company is committed to purchasing all timber from legal sources and will seek evidence of compliance from suppliers that they are operating in accordance with the laws of their country. The company unreservedly condemns illegal logging practices and will keep informed of international processes and changes in legislation. The company will not trade in timber species prohibited under Appendix 1 of the CITES legislation and will obtain the appropriate documents for trade in all other CITES listed timber species. The company will perform a Risk Assessment on all Suppliers, as documented by the RPP. The assessment will seek to provide the clearest practicable information regarding the sources of raw material used in the manufacture of wood products. This information will form part of purchasing decisions and will be made available on request to independent verifiers. The company supports international efforts to improve forest management, for example, the development of credible timber certification schemes. This company recognises that the independent certification of forests and the process chain is the most useful tool for providing assurances that the timber comes from legal and well-managed forests. The company will only accept, or use labels or certificates that include environmental or sustainability claims – only if they are supported by publicly available standards drawn up in a fully participatory, transparent and objective manner, and are backed by independent inspection. The company will not encourage boycotts or bans on specific species of timber. Notwithstanding this, the company will cease to purchase any timber and timber products whose supply is in breach of the Timber Trade Federation Code of Conduct and, in particular, the Environmental Code of Practice. The company is committed to work with relevant trade organisations, NGOs and governments to develop its purchasing policy. The company is committed to continuously raise the proportion of timber and timber products, in accordance with the stepwise approach, that originate from legal and sustainably managed forests. The company will report annually to the appointed auditors. The auditors will assess and verify the company’s progress and compliance under the Policy. A copy of the company’s Responsible Purchasing Policy Company Commitments will be available to all stakeholders on request. Violation of any of the ILO Core Conventions as defined in the ILO Declaration on Fundamental Principles and Rights at Work. Importing softwood timber into the UK and Ireland for over 180 years. Experts in delivering softwood solutions to merchants in the UK and Ireland. Committed to sourcing timber with the highest environmental credentials. 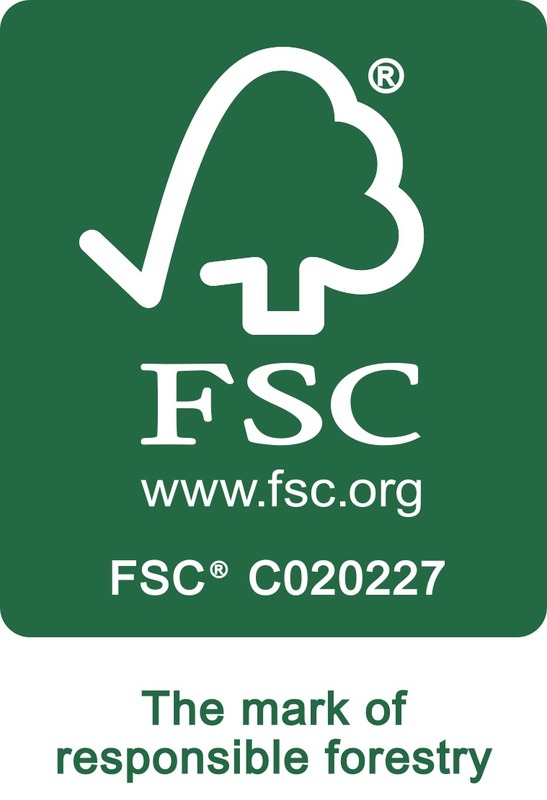 Certificated members of FSC® and PEFC Chain of Custody schemes.